March 16, 2018 February 15, 2018 / Julie Brook, Esq. With attorney movement on the rise between firms, it’s critical that attorneys and firms pay close attention to conflicts of interest that can come up when attorneys in practice for years are integrated into new firms. When a conflict is identified, firms can use ethical walls to prevent breaches of fiduciary duties and big hits to the firm, including disgorgement of attorney fees, malpractice claims, and loss of clients. Ethical walls protect the confidences of current and former clients with adverse interests. There are no mandatory elements required to create a wall. Rather, “[t]he more steps a firm has taken to prevent disclosure . . . the more likely it is that a court will find the ethical wall to be sufficient.” Kirk v First Am. Title Ins. Co. (2010) 183 CA4th 776, 812. Establish the ethical wall as soon as the conflict arises. Physically separate the screened attorneys from those at the firm working on the case, whether by office, geographic location, or department. Establish rules and procedures to prohibit those working on the affected matter from discussing confidential matters with the screened attorney. Establish rules and procedures for preventing access to the affected files and information. For example, files may be stored in a location that the screened attorney can’t access, warnings may be posted on filing cabinets or doors, and electronic documents may be restricted through passwords. Offer continuing education to attorneys and legal staff on the use of an ethical wall and issues of confidentiality. Prohibit the screened attorney from supervising any attorneys involved in the affected matter, and vice versa. Circulate a memorandum to all lawyers and staff instructing them that (1) the screened attorney can’t work on the affected matter; (2) no one working on the affected matter may discuss it with the screened attorney; (3) the screened attorney shouldn’t be given access to nonpublic documents about the affected matter; (4) the screened attorney shouldn’t have access to computer files pertaining to the affected matter; and (5) the screened attorney won’t share in any fees earned in the affected matter. Provide written notice to the former client whose confidential information the screened attorney obtained that the conflict has arisen and that an ethical wall has been put in place to protect the former client’s confidences. Although each of these steps is valuable, the importance of the first factor—timeliness—can’t be overstated. If a firm doesn’t take the necessary steps to immediately discover and remedy potential or actual sharing of client confidential information, an otherwise appropriate wall can’t cure the firm’s breach of its fiduciary duties to the former client. 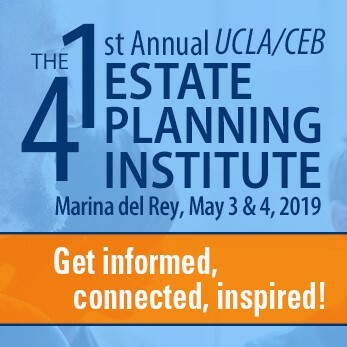 This advice is adapted from the article Ethical Walls in the Private Law Firm Context by Jennifer A. Becker and Kate G. Kimberlin, appearing in the Fall 2017 issue of CEB’s California Business Law Practitioner. In the full article, the authors also explain how coupling ethical walls with adequate conflict waivers allows law firms to merge and accept lateral attorneys without compromising business interests. On avoiding conflicts of interest generally, check out CEB’s California Civil Procedure Before Trial, chap 2. 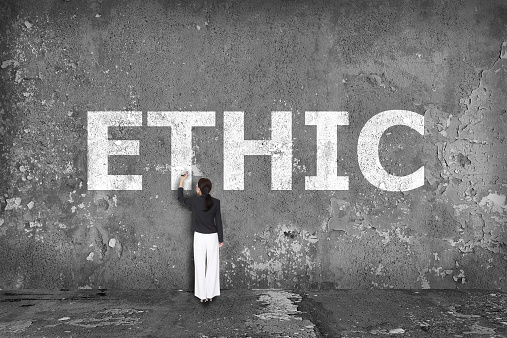 Does an Ethical Breach Bar an Attorney from Getting Fees? ← Should You Always Move for Summary Judgment and Summary Adjudication in the Alternative?